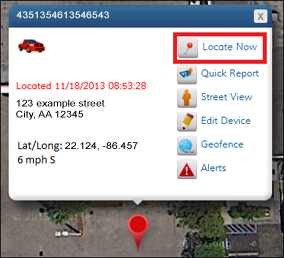 To locate your vehicle at any time, click the ‘Locate Now’ icon at the top of the information box. After a few moments, the map will display the vehicle location and the time of last report will be updated. Please note that it can take up to 3 minutes to locate your vehicle.